A redo in CaptureOne Pro 9. A March Capture of the Milky Way a few days before the New Moon, this is really a crescent. Using Aperture mode and ISO 6400 getting a 13" capture just as a test shot. I was using a Rokinon 14mm f/2.8 and at the time no lens corrections but I run this through Lr then processed the tiff in C1. Now no coma and real colors! 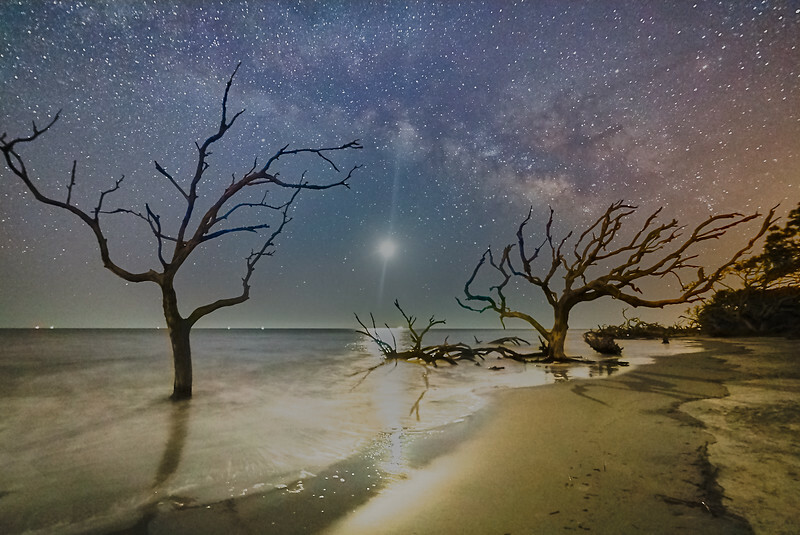 captureone pro 9.2rokinon 14mm f2.8driftwood beachjekyll island ga.